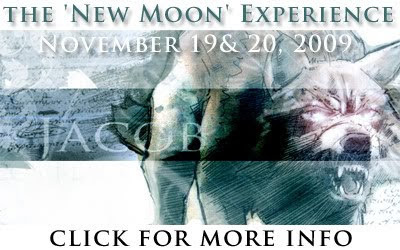 Join us for 2 days of Twilight Saga craziness and live the New Moon Experience by visiting Forks, La Push and Volterra all under one roof in Salt Lake City! FREE! 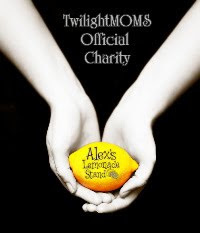 Tons of Twilight games, trivia, contests and chance at prizes! FREE! Pamper Yourself at Alice’s Salon sponsored by Cameo Beauty College. FREE! Souvenir photos at four event photo booths professionally taken by All Events Photo Booths. FREE! 2 stages full of activities and various performances for your entertainment. FREE! The big game on a flat screen at Billy’s Place sponsored by Game Crazy & Hollywood Video. Costume Contest- Come dressed as your favorite character! T-Shirt Contest- Prizes for the most unique fan-made Twilight Saga t-shirts! Art Contest- Enter your own Twilight Saga inspired creations! All contest details and entry forms can be found here. Start your creative juices flowing! We can’t wait to see what you come up with! There’s something for everyone! Secure your tickets before they’re gone! Check their blog for the latest news!